This article was posted in 2015 in the local newspaper in Landau an der Isar. 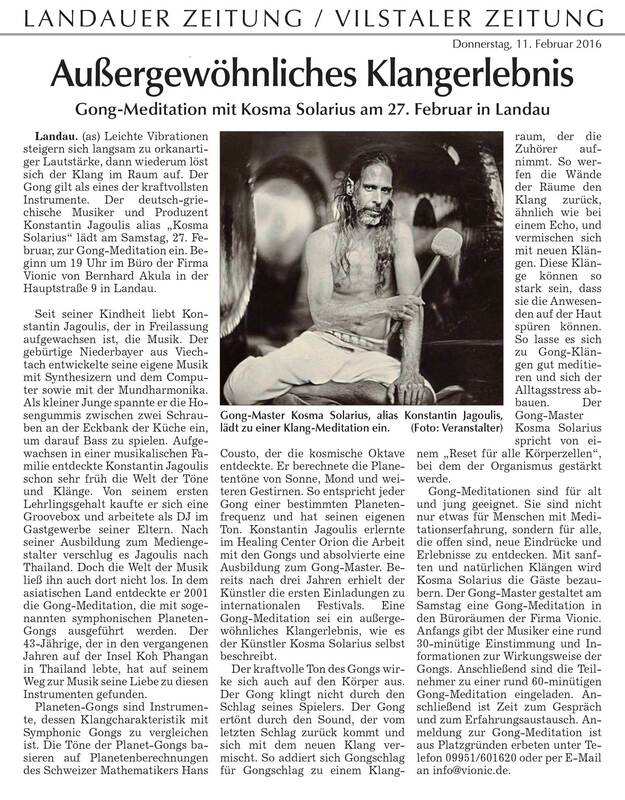 On 25th February 2015, Kosma Solarius was playing his gongs for the first time at the VIOINC studio in Landau a. d. Isar, which is a small town in Bavaria / the south of Germany. 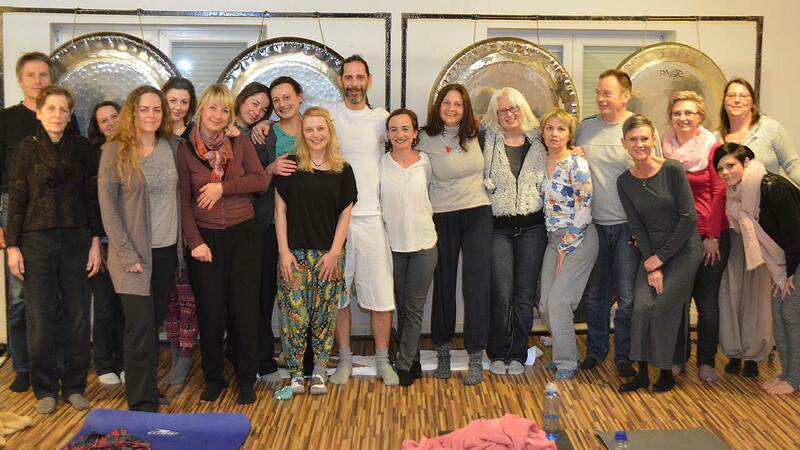 After this fully booked gong meditation, he was invited regularly to play there whenever he visited this area. 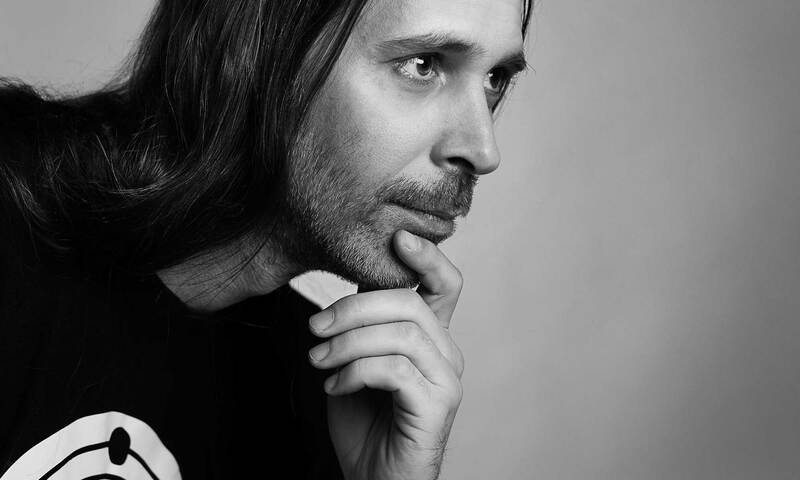 Kosma Solarius made a big impact and the owner of the VIONIC studio, Bernhard Akula, became also a gong master and is regularly holding his own gong flying sessions with great success.